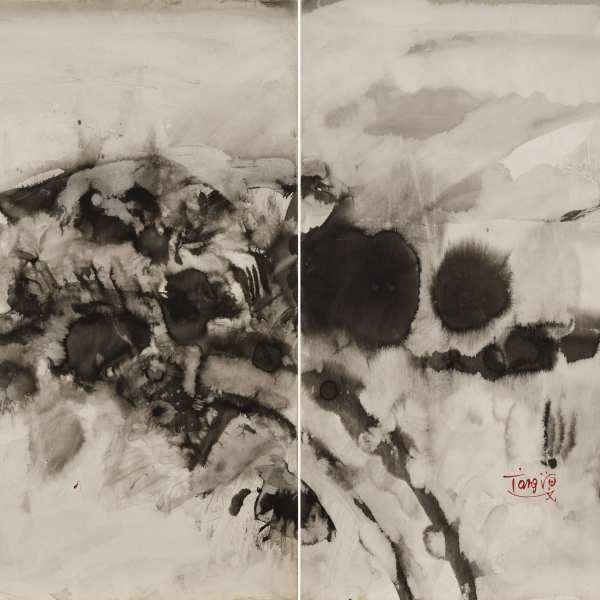 On his arrival in France in 1948, T'ang Haywen studied French civilization, Classical letters, Oriental languages and according to the wish of his parents, he enrolled in medical school but also studied drawing. 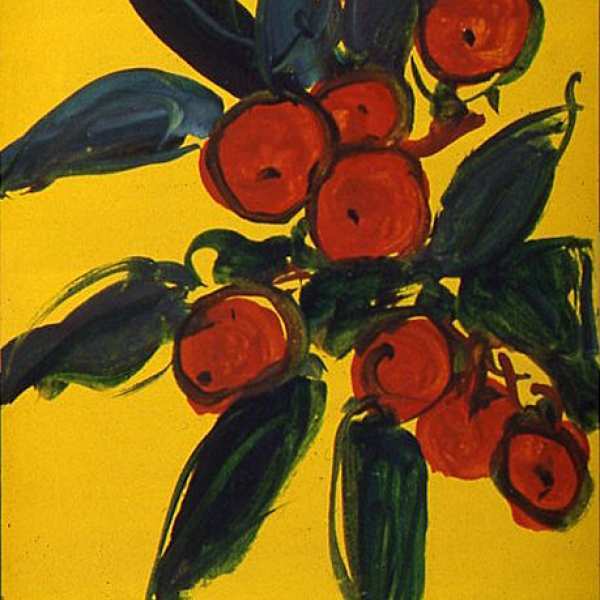 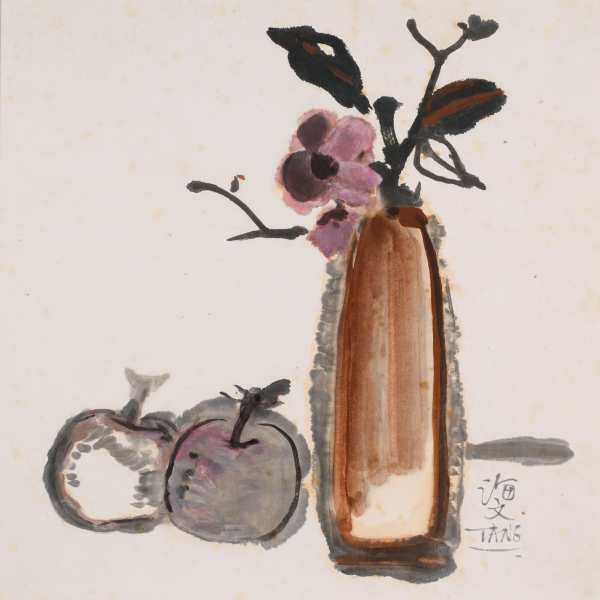 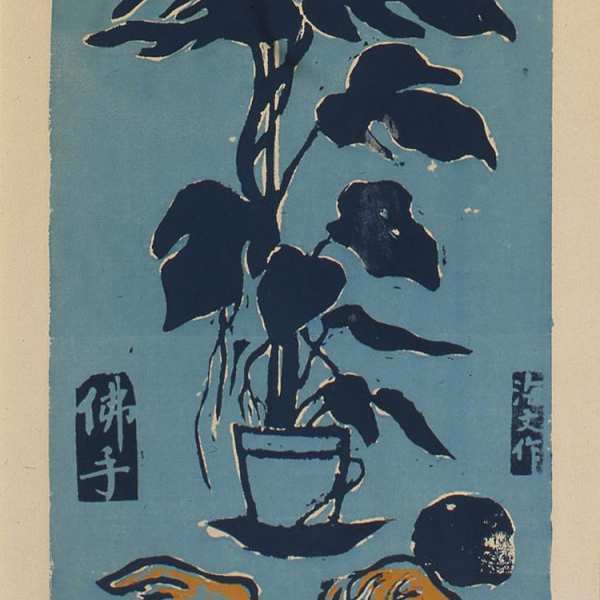 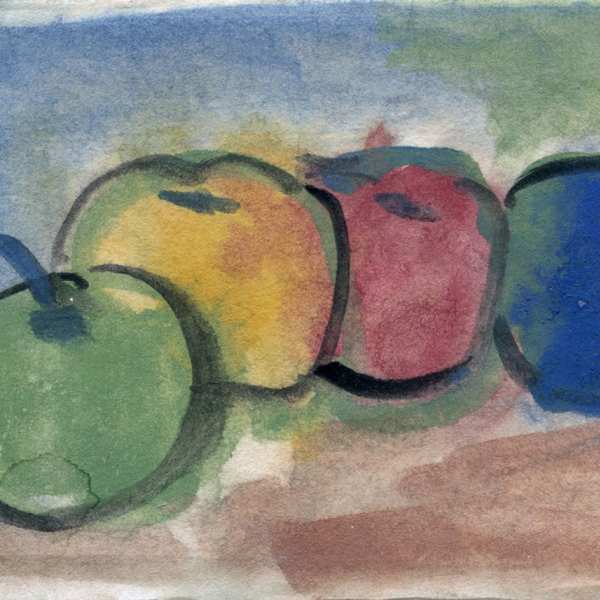 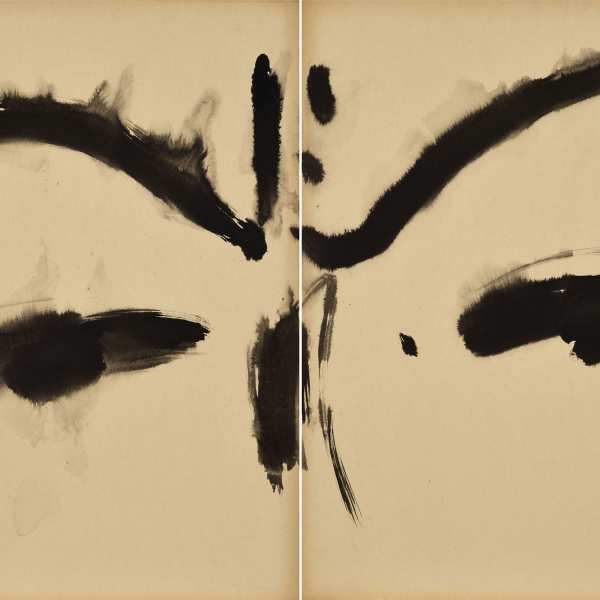 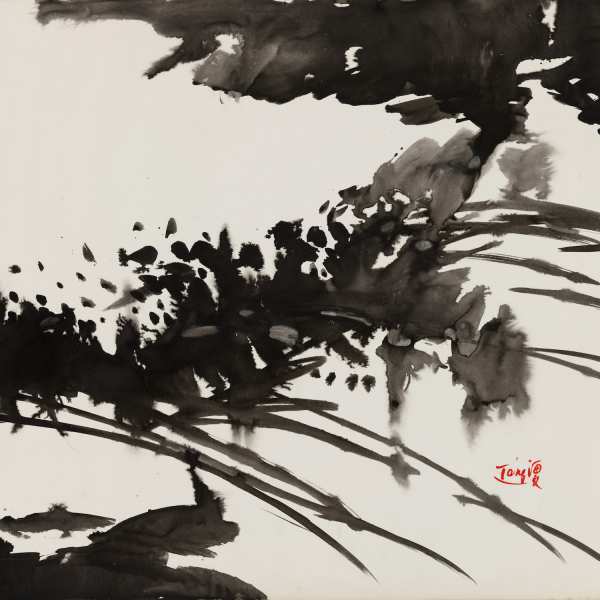 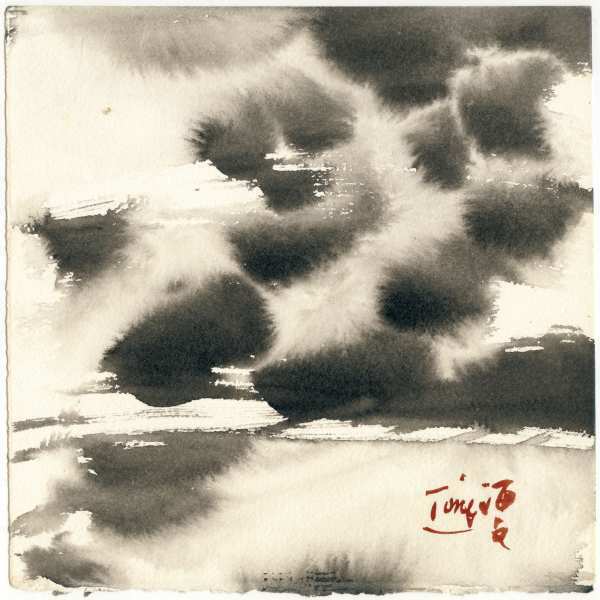 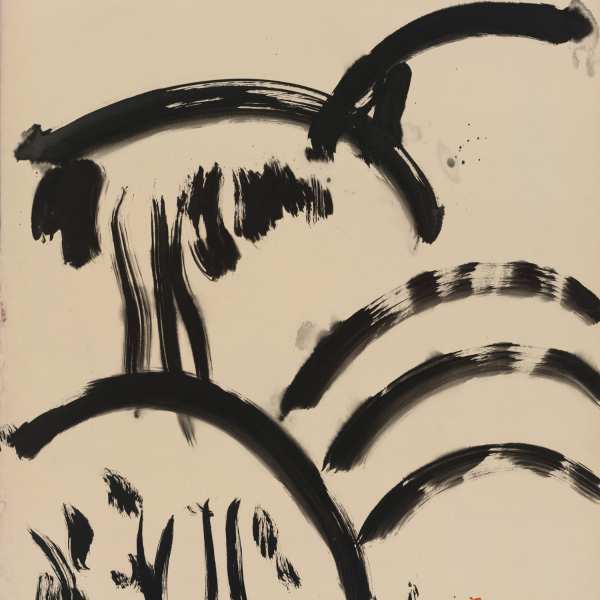 In 1952 he decided to devote himself to painting and without ever ceasing to be Chinese, he went through different phases of learning in which pure representation of objects, portraits or still lives as well as homages rendered to Oriental or Western masters would soon give way to a deeper vision where formal appearances leave room for what is essential and eternal. 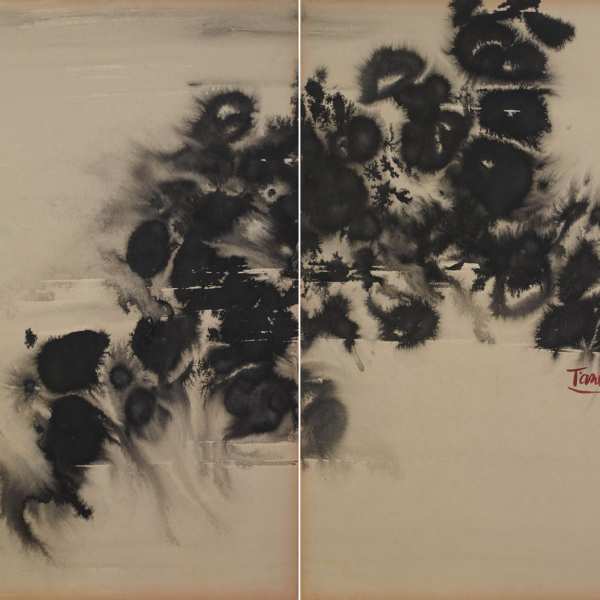 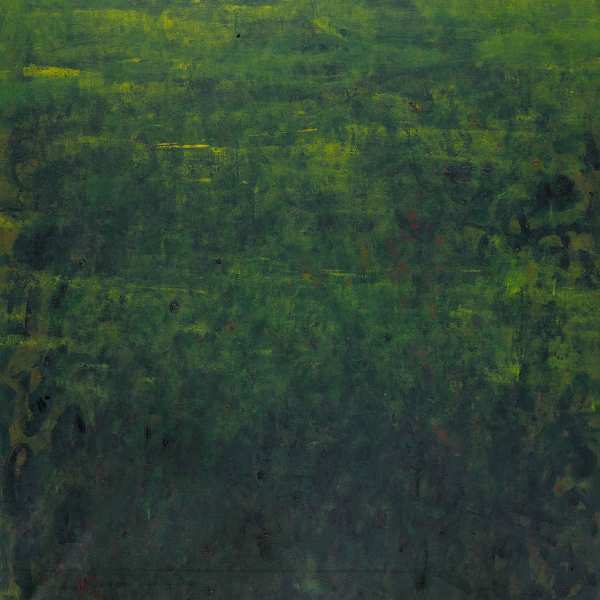 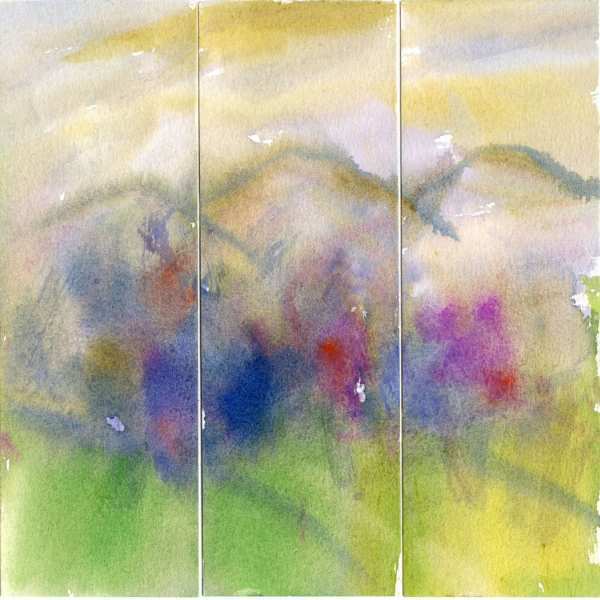 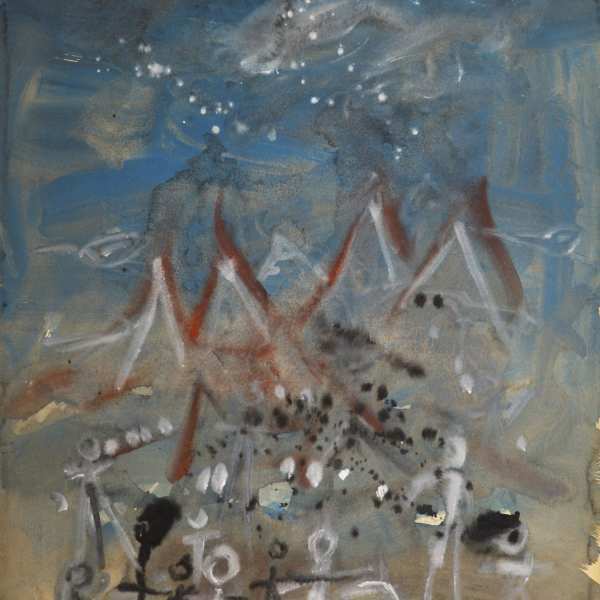 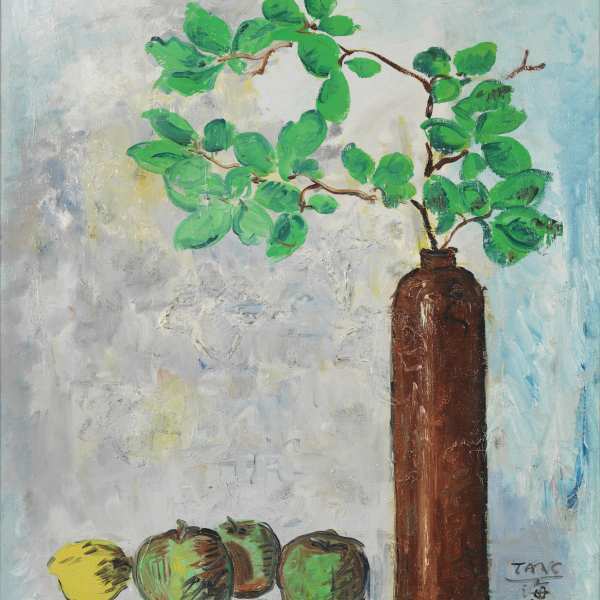 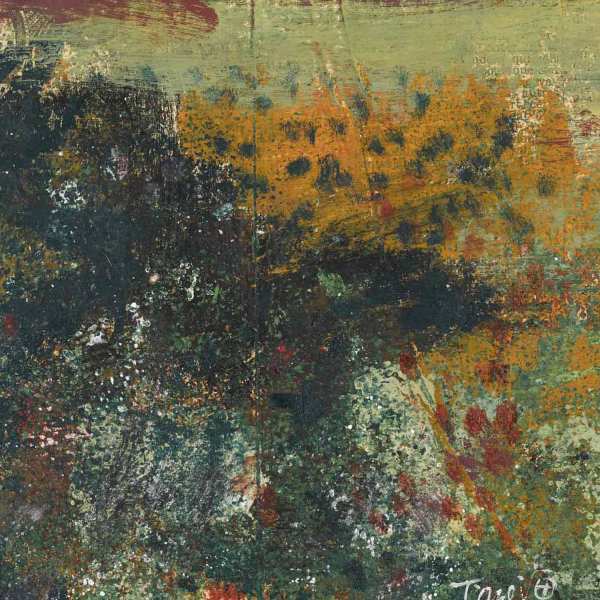 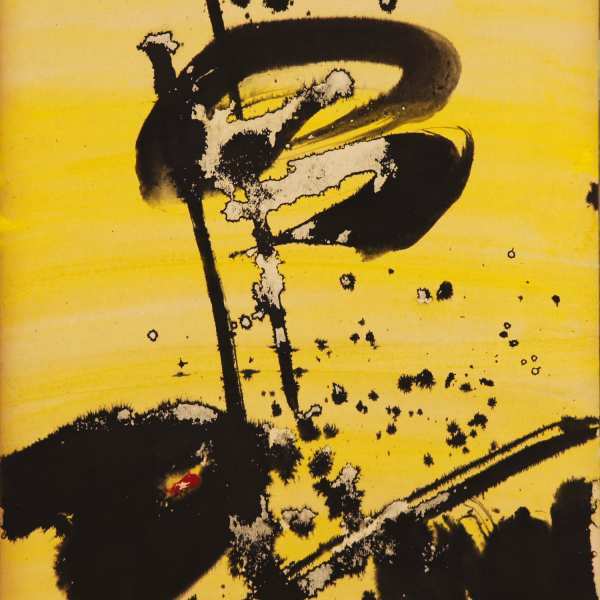 T'ang declared that from 1964 he was free from external influences and would define his painting as “neither figurative nor non-figurative”, and “not attempting to describe the world”, his intention being “to go beyond conscious world to identify with the forces of nature and materialize them through painting”. 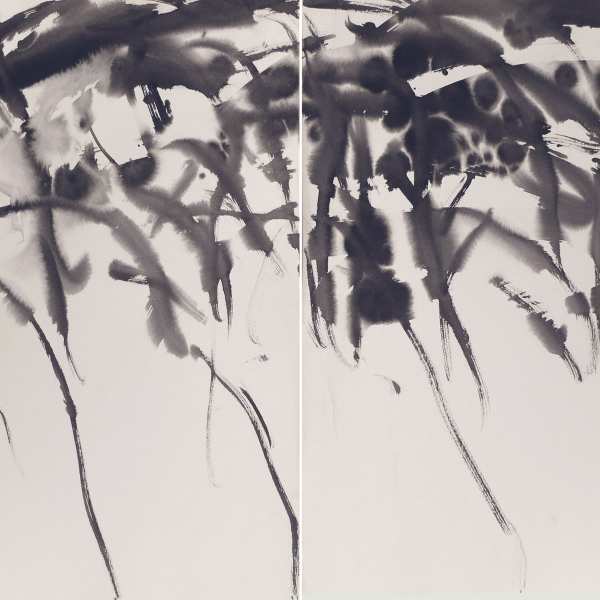 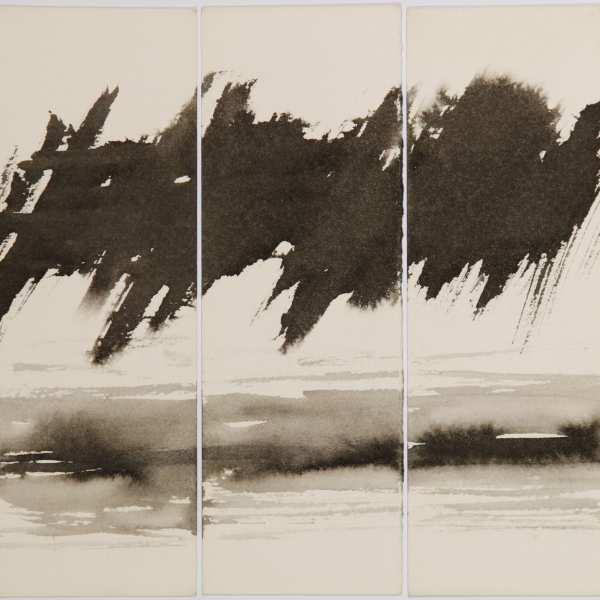 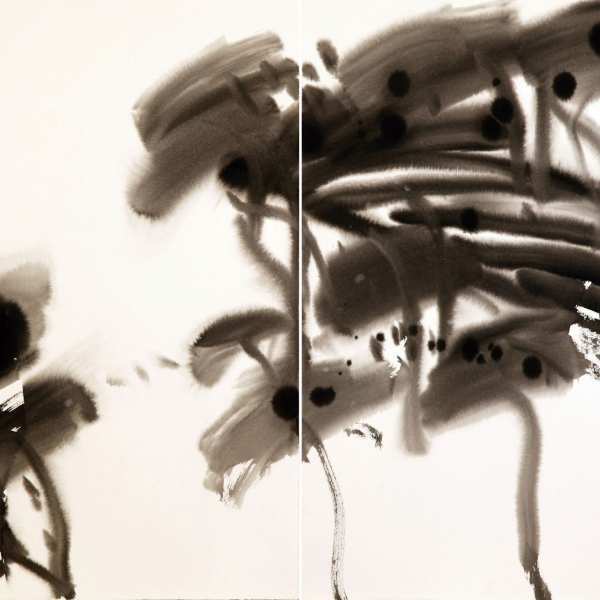 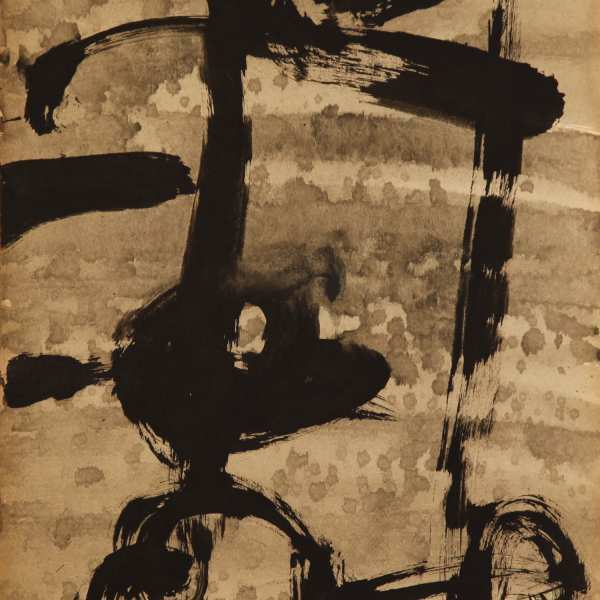 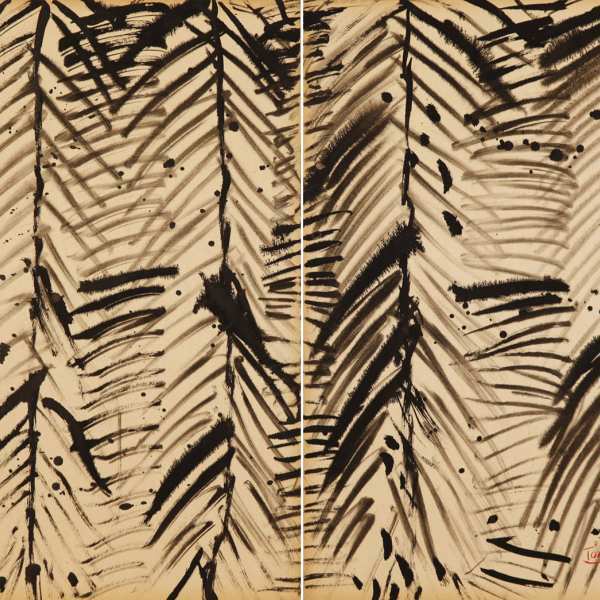 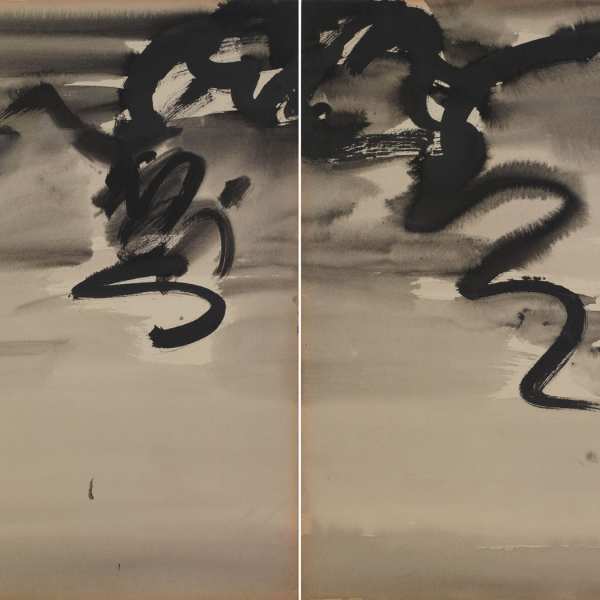 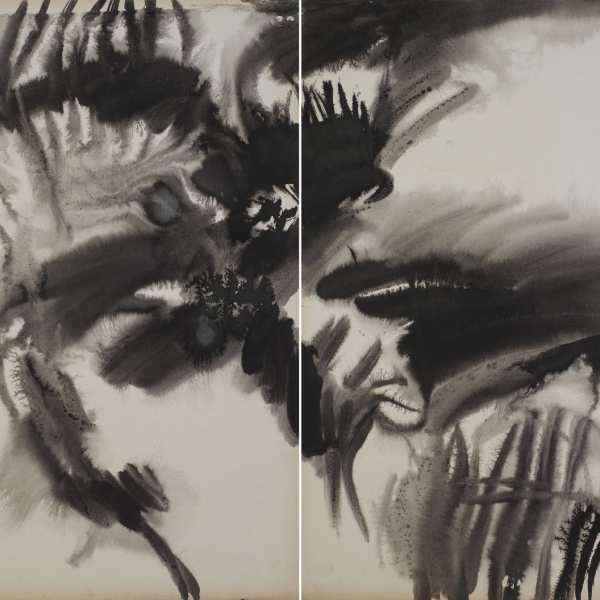 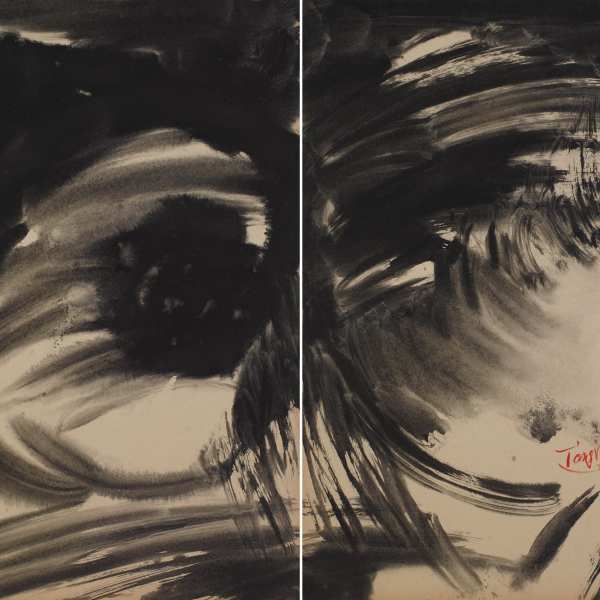 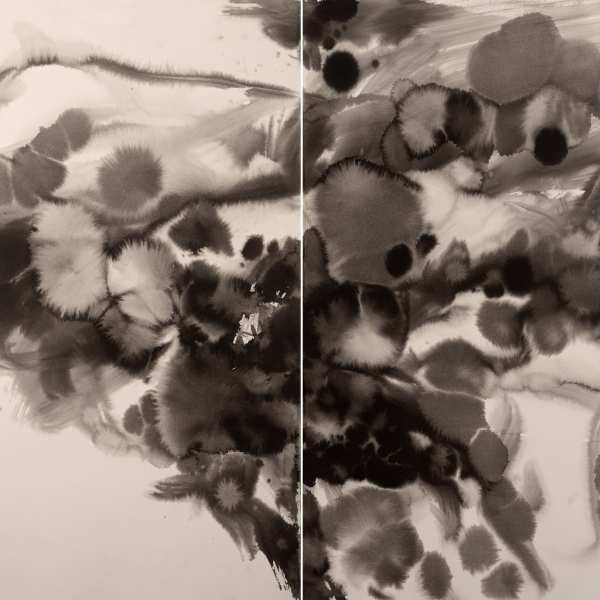 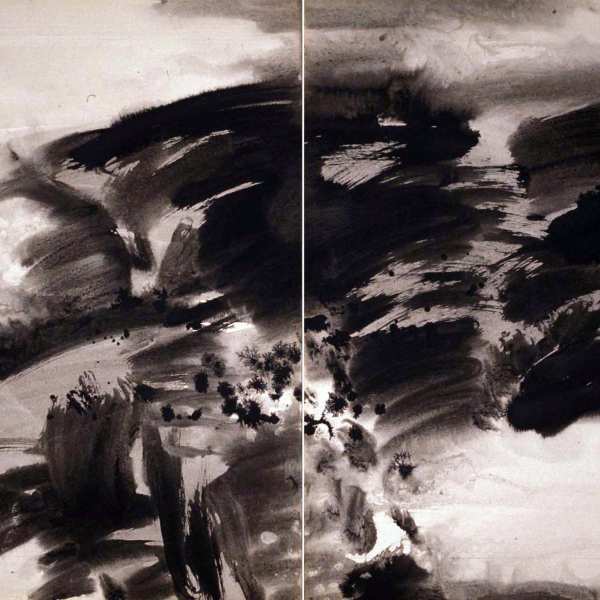 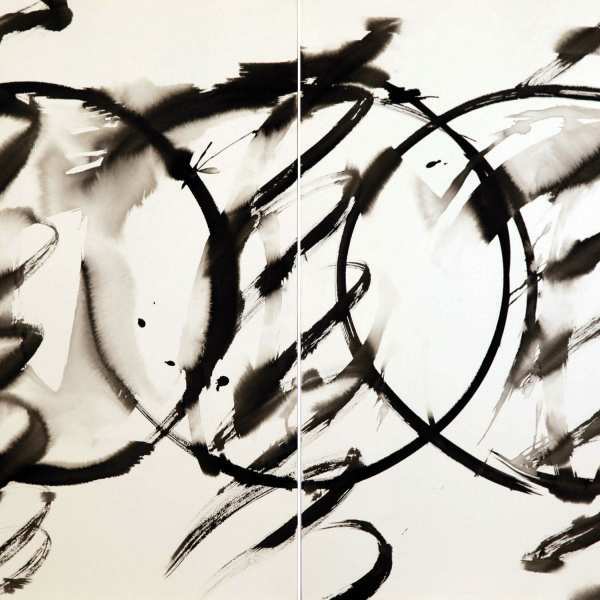 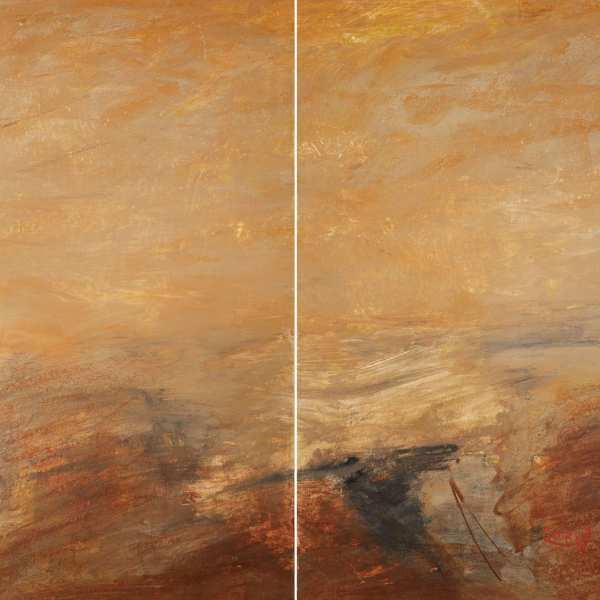 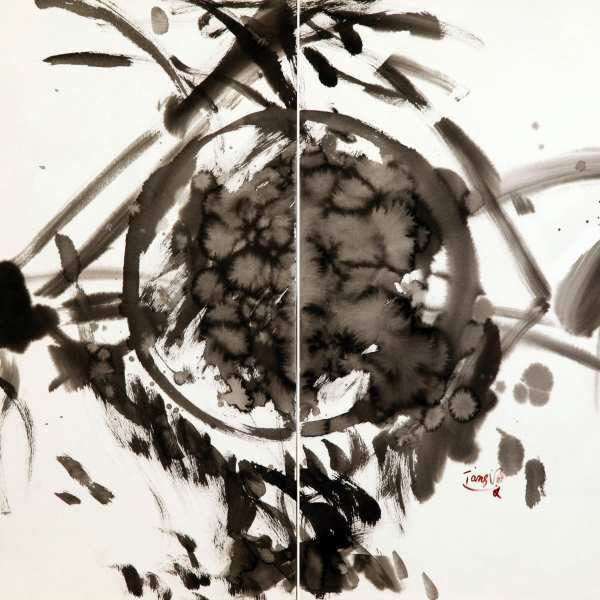 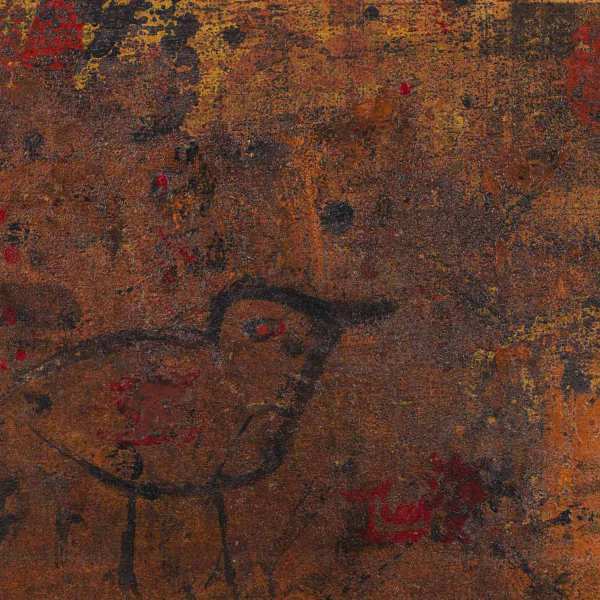 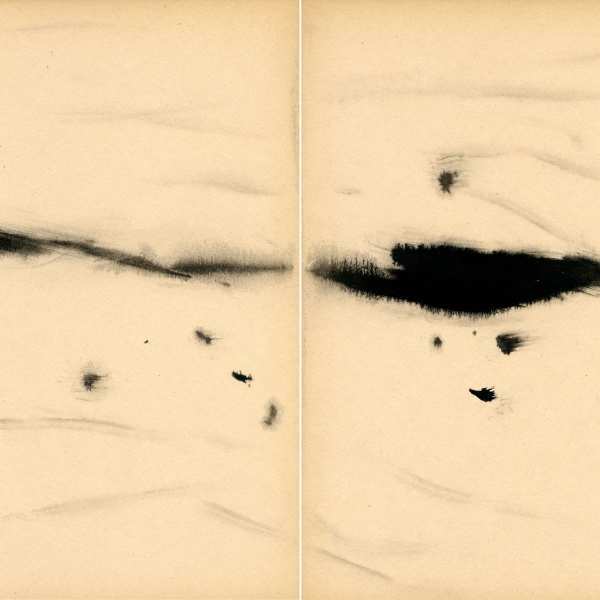 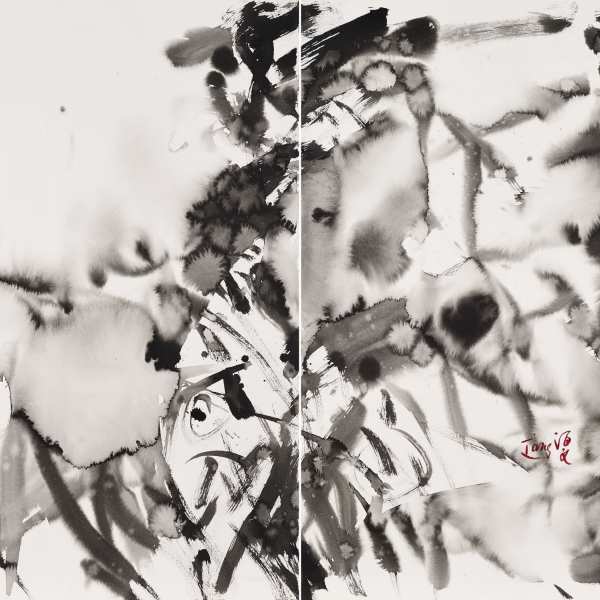 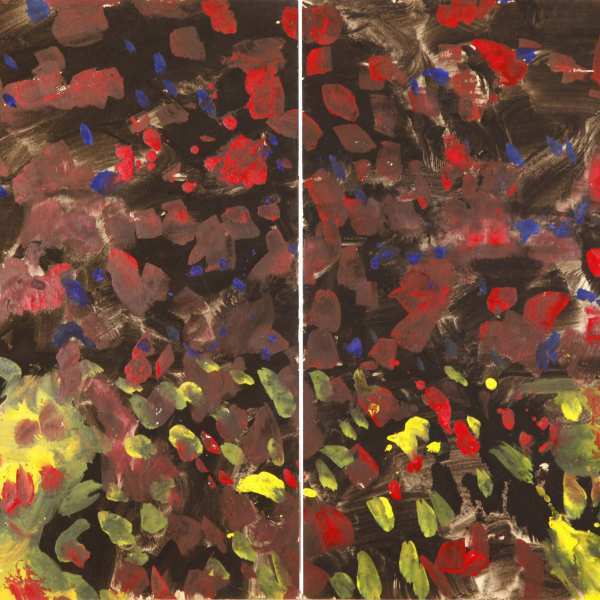 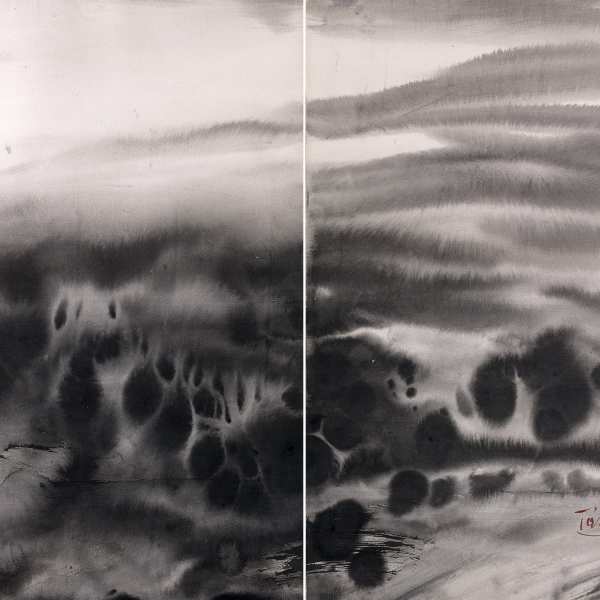 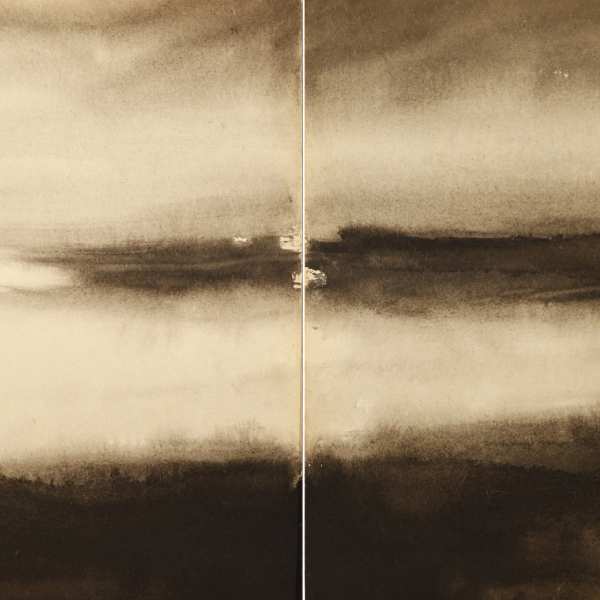 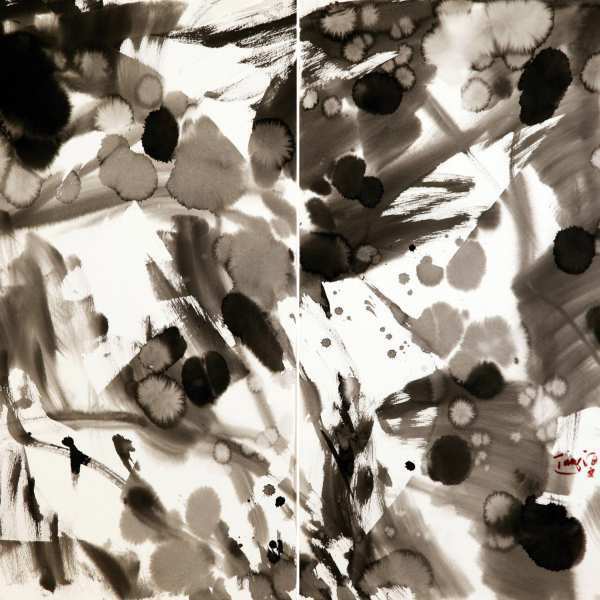 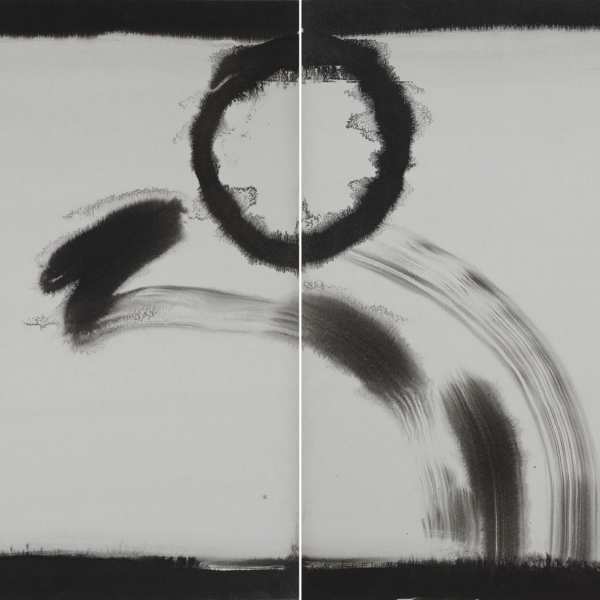 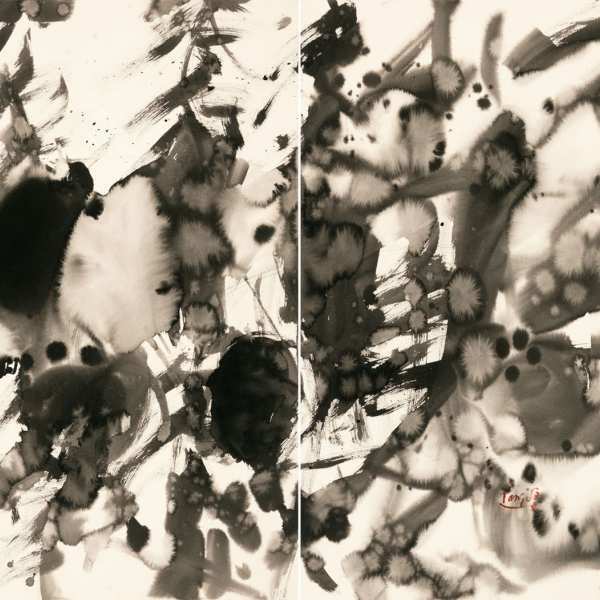 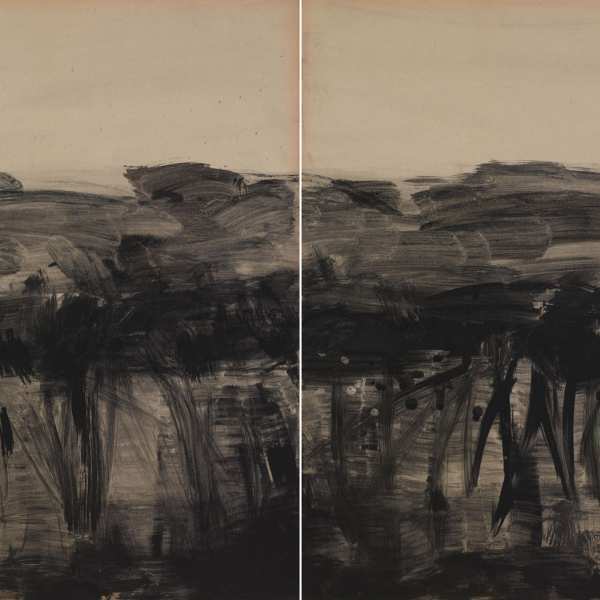 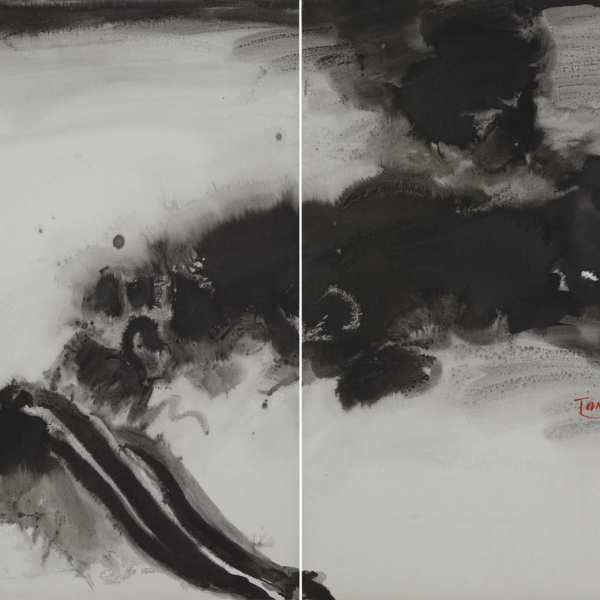 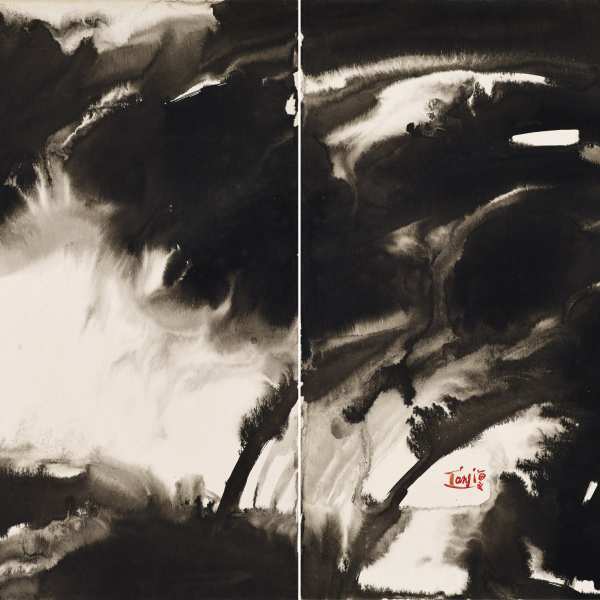 At the end of the 1960s, T'ang developed the singular format of the large diptych of 70x100 cm, which became one of the identifying characteristics of his work.